No matter what your favorite hot sauce is, whether you’re a Tabasco die-hard or a Sriracha purist, you’re basically eating the same thing: hot peppers and white vinegar. Nearly every commercial hot sauce uses the sharp vinegar as a preservative, relying on the acetic acid in vinegar to kill off bacteria and make the sauce shelf-stable. The only problem with white vinegar is that, quite frankly, it’s better for cleaning toilets than complementing pepper’s natural flavors. As with many of life’s problems, the solution is alcohol. 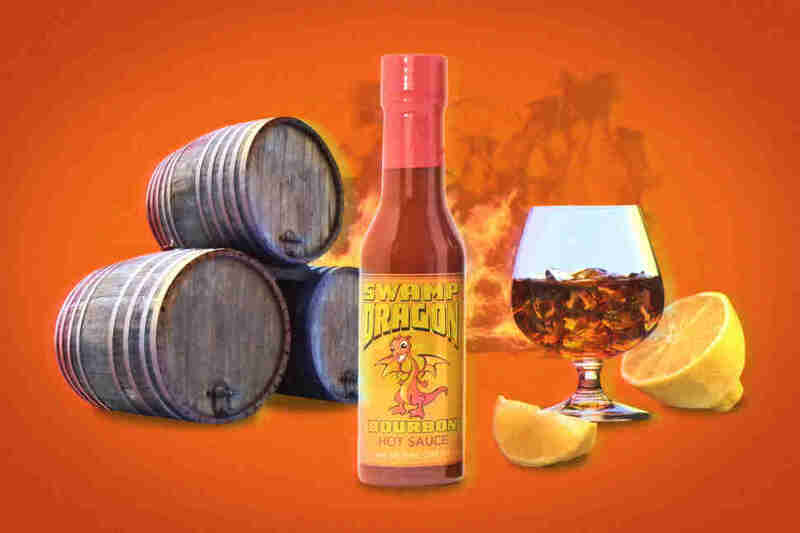 A new brand of hot sauce, called Swamp Dragon, ditches the vinegar in favor of alcohol, which offers the same preservative properties without the nasty tang. Plus, the brand’s five flavors -- vodka, rum, tequila, ouzo, and bourbon -- give every dish a different boozy kick. Fed up, Beeson turned to vodka for help. “I thought, well vodka doesn’t go bad if you leave it out, so what if I switched vodka for the vinegar in a hot sauce,” he says. 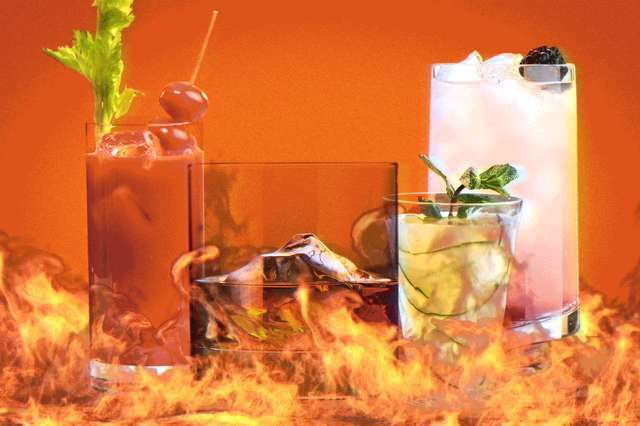 After a few years of passive market research, he realized that there were no true alcohol-based sauces available, just products infused or flavored with alcohol. So he seized that hole in the market. Beeson collaborated with the Louisiana State University School of Nutrition and Food Sciences to create the world’s first alcohol-based hot sauce by simply blending together vodka, water, and a proprietary mix of peppers. (The current formula includes xanthan gum for texture, but Beeson plans to soon remove it and sub in crushed pepper seeds as a natural thickener instead.) The team at LSU subjected the vodka-based sauce to an accelerated shelf-life study, which Beeson describes as a giant anti-refrigerator where the lights are always turned up and the temperature hovers around 100 degrees Fahrenheit. After three virtual years in the simulator, the booze-based sauce not only tasted great, but retained its natural, vibrant color. Beeson currently buys the alcohol he uses straight from the the grocery store, although he is currently seeking distilling partners to expand the operation. Clocking in at 20% ABV, the sauce won’t get you drunk, but it will give your mouth a nice buzz with slightly more heat than Tabasco. The Bourbon Dragon works great in Beeson’s favorite gumbo, and you should absolutely follow traditional wisdom by slathering the Tequila Dragon on tacos. But nixing the vinegar from hot sauce opens up a whole new world of uses. Beeson has drizzled Rum Dragon to top gingersnap cookies and vanilla ice cream, and the anise-tinged Ouzo Dragon works well on everything from pho to sushi rice to baklava. Nicholas Mancall-Bitel is a writer and editor currently living in Brooklyn. He covers food and drink and travel and tech and health, but really he’s just taking this crazy world one daiquiri at a time.